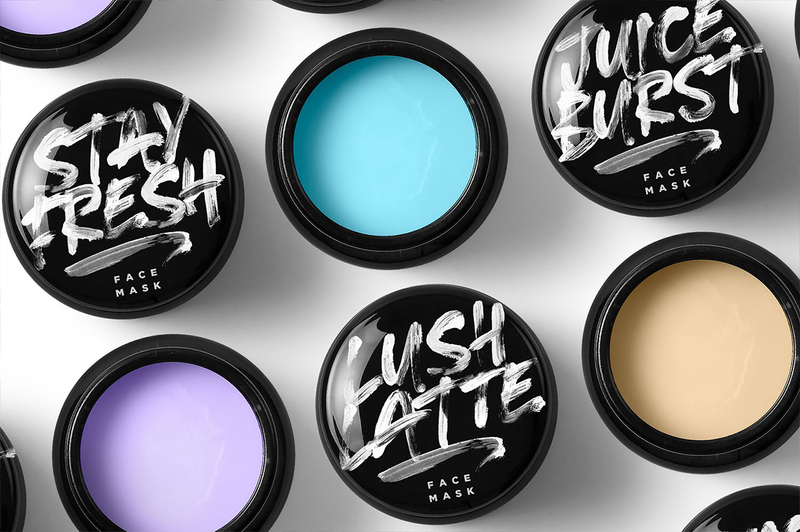 Introducing Crush – a messy, loud and proud all-caps brush font which embraces imperfection. 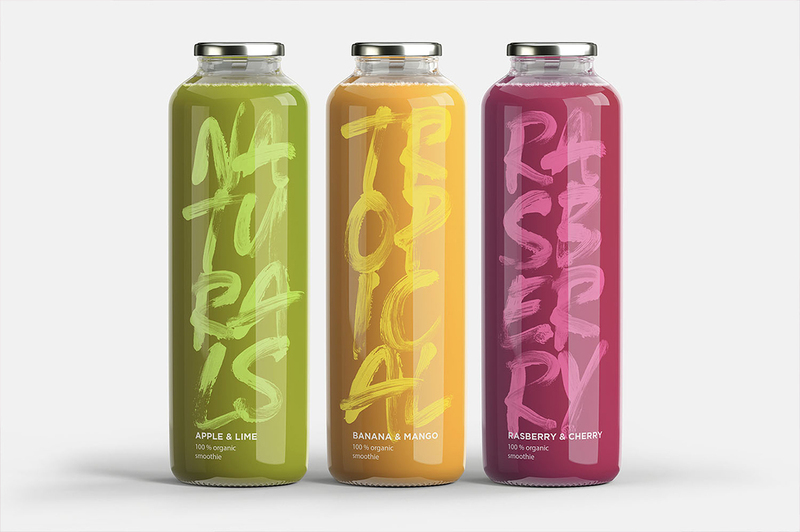 Crush uses new Opentype-SVG font technology to provide super high-resolution paint strokes completely built in to the font as a transparency – just simply type away and let the font do its magic. 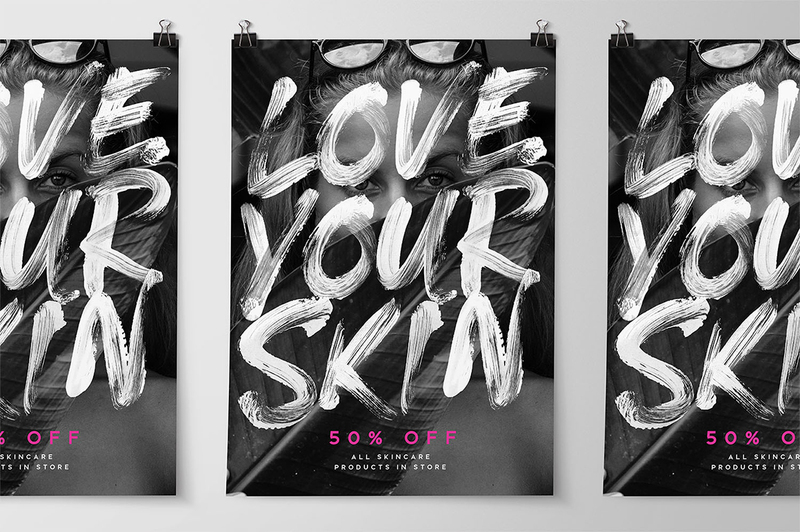 It’s guaranteed to make a big impact as large display text on product packaging, advertisements, posters, cover designs, social media & more! SVG version of the font containing high-resolution, built in textures (requires Adobe Photoshop CC 2017 or Adobe Illustrator CC 2018 or newer). Regular version of the font; use this version if you need the font in a traditional vector format, but still maintaining an authentic rough paintbrushed finish to its edges. 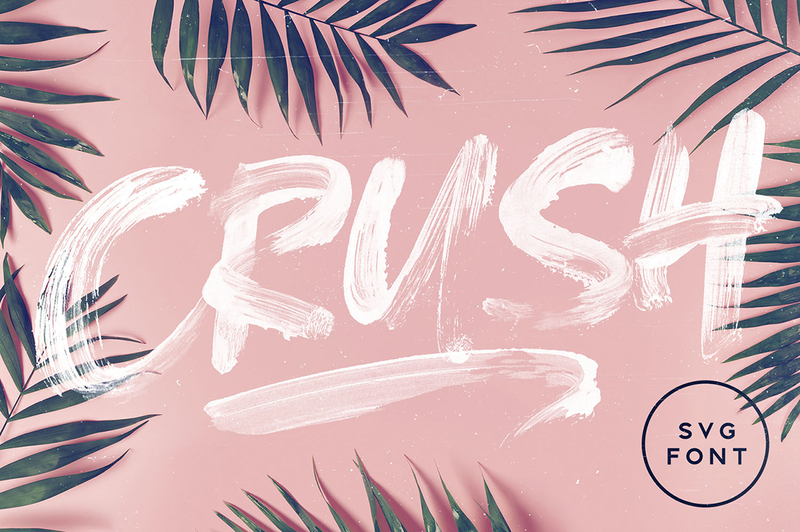 Crush also includes two sets of each letter, allowing you to mix up your characters and create truly authentic, customised text layouts. Just simply switch between upper & lowercase on your keyboard to switch between the two letter sets. Language Support: Language support is provided in the Regular version of the font only, for the following languages: English, French, Italian, Spanish, Portuguese, German, Swedish, Norwegian, Danish, Dutch, Finnish, Indonesian, Malay. Good day!!! 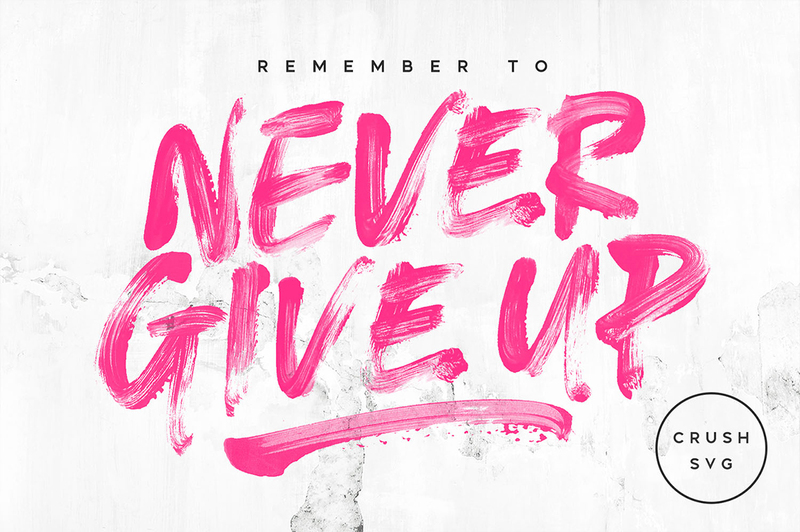 Is this fonts works in Coreldraw? 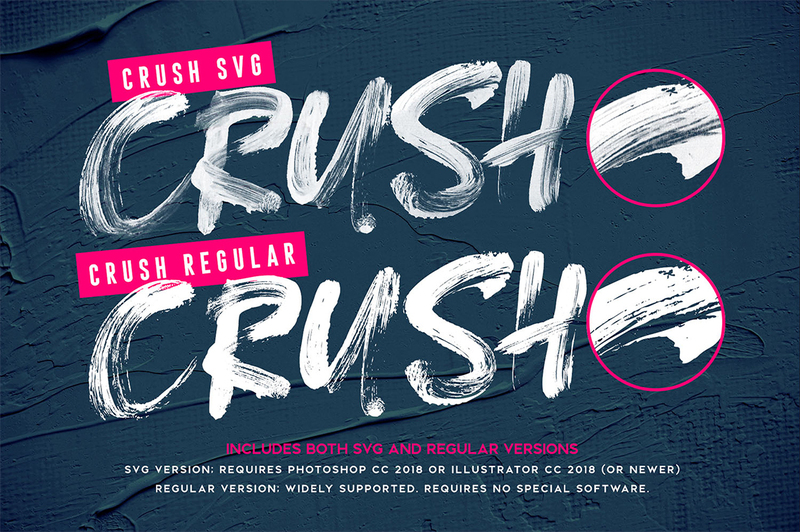 I’m so sorry for any confusion caused by the compatibility of our Crush SVG Font. Rest assured we always list the compatibility and file types included on our deal pages so my sincerest apologies if you missed this Zaide! 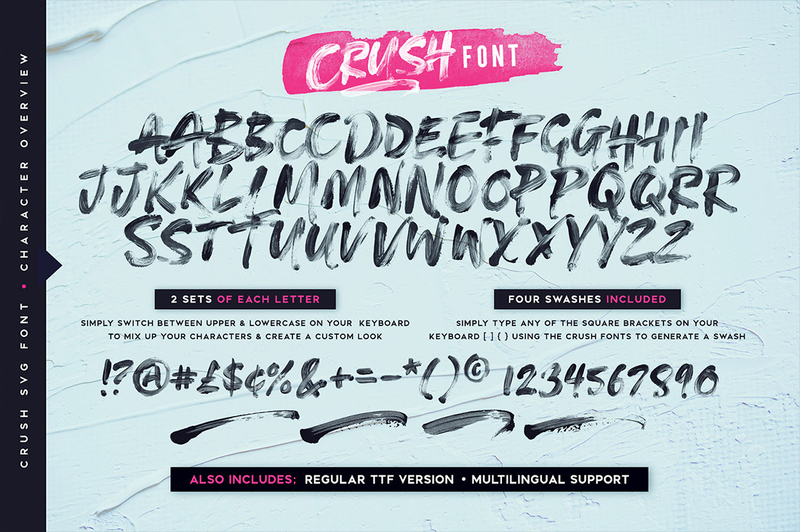 Whilst you should be able to use the Crush Regular font, the designer advises that the SVG files requires Adobe Photoshop CC 2017 or Adobe Illustrator CC 2018 or newer- I’m so sorry for any disappointment caused! 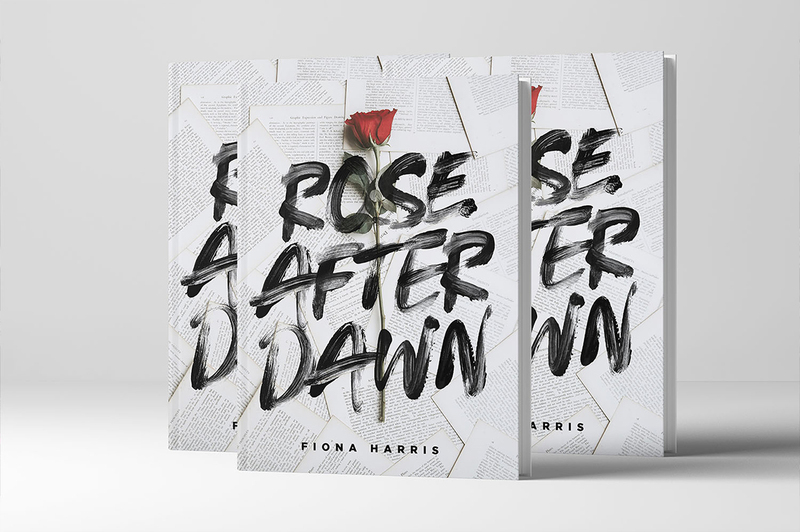 I am more than happy to help you find the perfect fonts for you that are compatible for you, so have also popped you an email to help you further with this!